This section of the website replaces our monthly research notes on zeros, warrants and subscription shares. We’ll update the valuation sheet here at least monthly. Bear in mind that the net asset value numbers that go into calculating the final asset cover may be out of date for funds that invest in assets such as private equity and property. 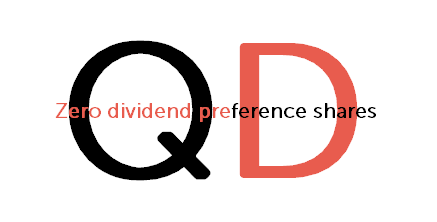 Zero dividend preference shares or ZDPs are shares that will be redeemed at a fixed price at some defined point in the future (provided that sufficient assets are available). Their entitlement to the assets of the company rises in a straight line between their entitlement on issue and their redemption value. They are not entitled to receive dividends. They will usually get paid out before the ordinary shares on a winding up. A warrant is an instrument that gives the holder a right but not the obligation to buy ordinary shares at a pre-determined price (the strike price or exercise price) on a given date or within a range of dates. Subscription shares are identical to warrants but they are eligible for inclusion in an ISA while a warrant is not. The ZDP cover ratio / Zero Dividend Preference share cover ratio is an indicator of the likelihood of a split capital company being able to repay its zero dividend preference shares (ZDPs) when they fall due. The method of calculation varies from firm to firm but, for the purposes of producing our monthly sheet on zeros we have adopted the following method. Some other measures of ZDP cover try to adjust the calculation for management fees, interest on debt and estimated wind up costs. We think this gives a spurious accuracy (since it is hard to forecast some of these expenses) to what is really only just a rough guide to whether the zero will easily be repaid out of available assets when it falls due. Gross redemption yield or GRY is a measure of the rate of return offered by an investment up until the date it matures. It is usually expressed as an annualised percentage – a bit like an interest rate. NB, as ZFPs near maturity, annualised GRYs can get a bit distorted – also dealing costs (which our sheets do not factor in as they vary) become more of an issue. There are two discount/premium columns in the valuation sheet. The first “price/exercise (discount)/premium” is looking at how far in or out of the money the warrants or subscription shares are. The second, additional column “price+warrant or sub share price / exercise discount/premium” is looking at whether it make sense to buy these warrants or the subscription shares at their current price.